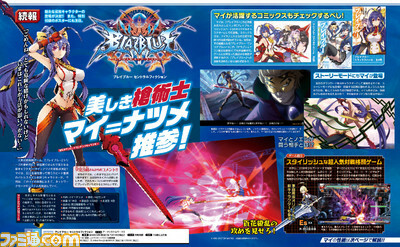 Arc System Works revealed in this week’s issue of Famitsu magazine that Mai Natsume will be joining the fray in BlazBlue: Central Fiction. 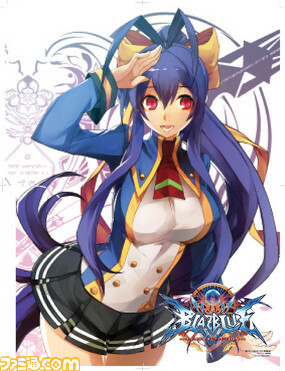 For those who don’t know, Mai is the main character of the spin off manga BlazBlue: Remix Heart manga; who originally was born a male, but became a female due to a grimoire prior to the manga’s events. Besides Mai, she is joined alongside Hibiki, Naoto, Nine the Phantom, Hades, and Es as new playable characters for the console release. The game will launch in Japan on October 6 of this year, while in the Fall in North America and in Europe in Q4 2016 for the PlayStation 4 and PlayStation 3.